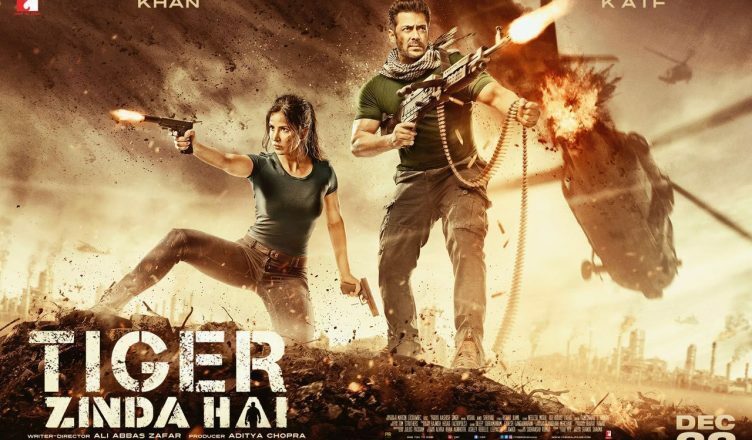 Tiger Zinda Hai is a terrific entertainer and ensures that 2017 ends on a ROCKING note! Despite being 161 minutes long, it never feels like a drag or a bore. The film is very well shot and executed and it truly looks like an international film. Tiger’s entry is clapworthy and unusual from the rest of his epic entries! The action as expected is a class apart but the film also scores for its emotional quotient. The patriotism bit and the peace element is also nicely woven in the film and it’s sure to be appreciated. Sadly, logic goes out of the window in many places. But the film has a lot of other positives and there’s so much happening that one won’t mind at all. Salman Khan yet again delivers a brilliant performance and the way he subtly communicates so much is something to watch out for. Katrina Kaif looks stunning and so good to see her doing action and people going crazy in her scenes as well! Sajjad Delafrooz is awesome as the villain – what a discovery! Paresh Rawal is the surprise package of the film – so good to see him in such a great role after a long time! The rest – Anant Vidhaat, Angad Bedi, Paresh Pahuja, Kumud Mishra, Girish Karnad and Anupriya Goenka – are also quite great. In fact, the supporting cast also deserves loads of praise. For the lovers of big, budget extravaganzas, this one is pure gold!